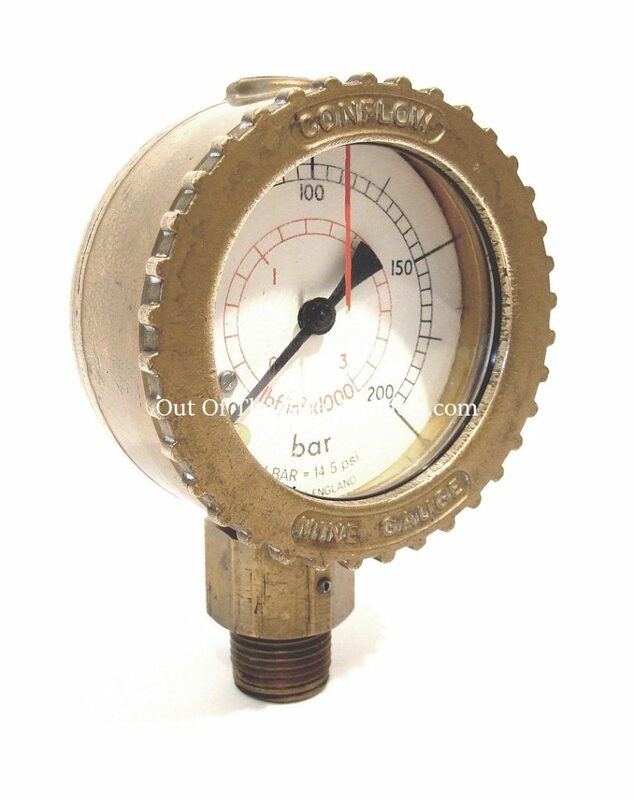 A Conflow Mining Pressure Gauge. 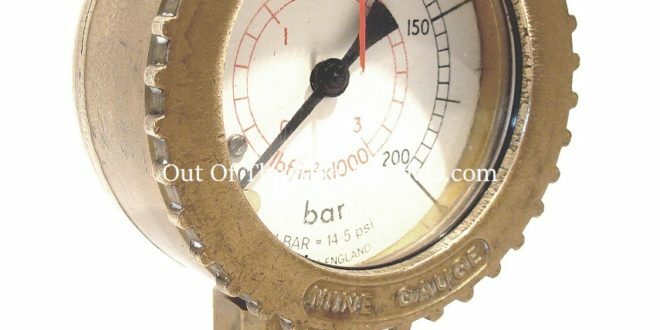 A Conflow Mining Pressure Gauge. Made from Brass with a thick plastic face cover. Size 3″ x 2″ inches.